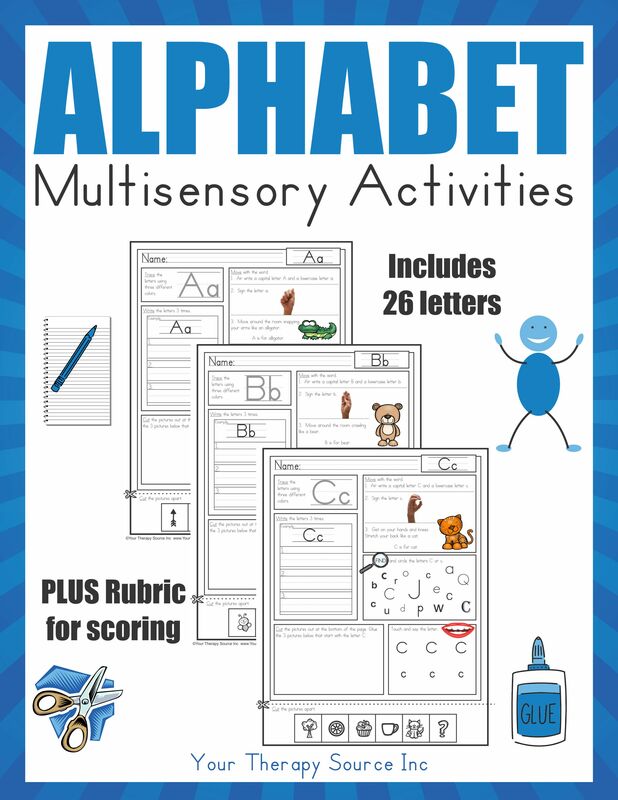 Multisensory Alphabet Activities digital download includes 26 activity pages for each letter of the alphabet plus a bonus rubric to track progress. Research indicates that children need to master four components in order to identify letters: letter recognition – the ability to recognize the shape and size of the letter, letter naming – recognizing that the shape of the letter is associated with a letter name, letter sound knowledge – determining what sound corresponds to the shape or name of the letter and letter writing – the ability to trace or write the letter with a pen in accordance with its shape and direction ((Bara & Bonneton-Botte, 2017). 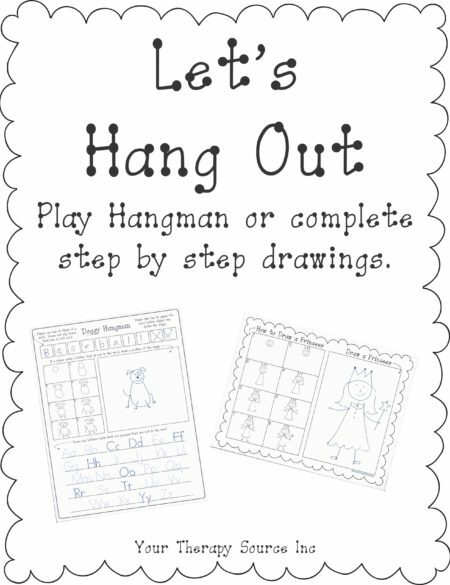 Each worksheet addresses each of these components in addition to movement activities. A font similar to the Zaner-Bloser® font is used with dotted lines. This digital download is NO PREP and ready to go. 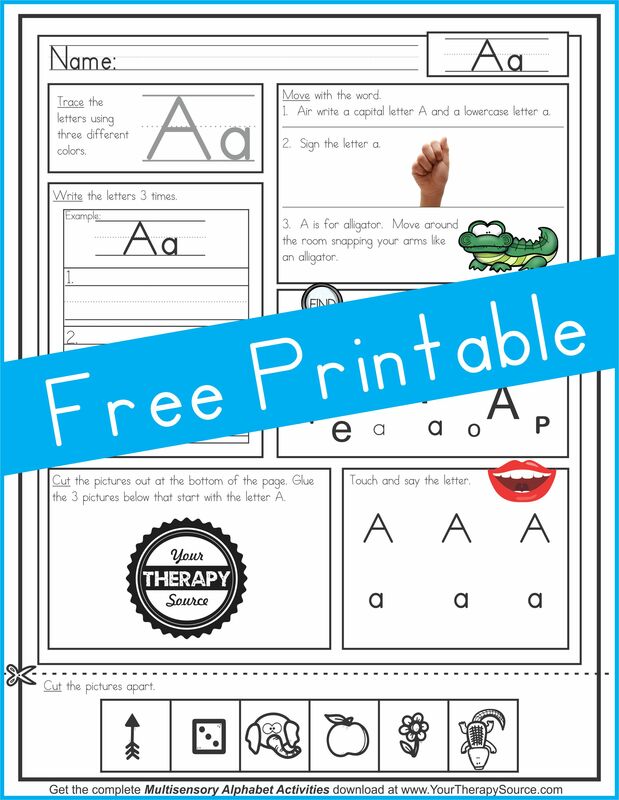 Students will practice tracing the letter, writing the letter, air writing the letter, signing the letter, moving like the letter, finding the letters, saying the letters and cutting out the correct words that start with the letter. Can you believe ALL OF THAT is on just one activity page? 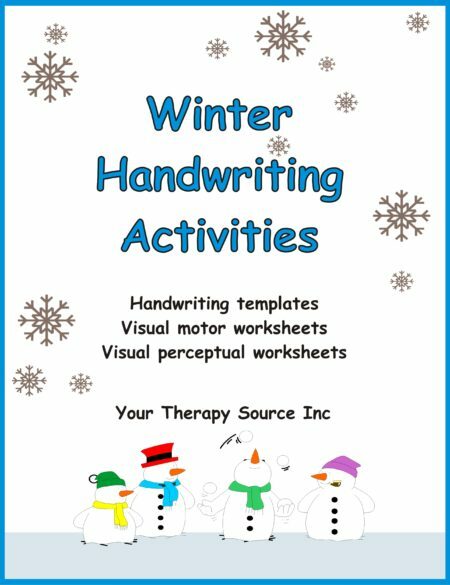 This activity packet helps support the research results that handwriting experience plays a crucial role in the formation of the brain network that underlies letter recognition (James, 2017). Track the student’s progress using the included 28 point scale rubric to determine strengths and weakness of the student’s ability to recognize, print, and say the letters. 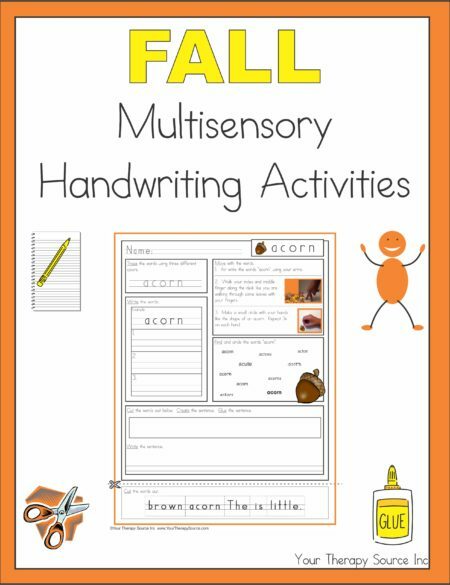 Looking for more multisensory activities? The ABC’s of Active Learning © offers readers tons of multisensory literacy activities based on each alphabet letter. This book, based on years of experience as school-based therapists, is written by Laurie Gombash, PT with a Master’s degree in Education and Lindsey Justice, OT. FIND OUT MORE. 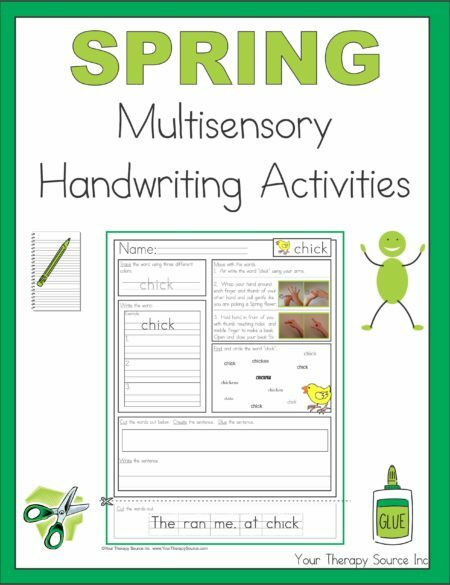 Looking for more multisensory handwriting activities? 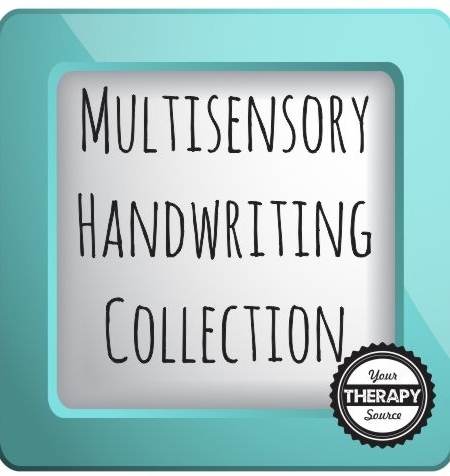 Check out a HUGE collection here – it includes the Multisensory Alphabet too! Bara, F., & Bonneton-Botté, N. (2017). Learning Letters With the Whole Body: Visuomotor Versus Visual Teaching in Kindergarten. Perceptual and motor skills, 0031512517742284.